First things first. Quinoa is pronounced Keen Wah. 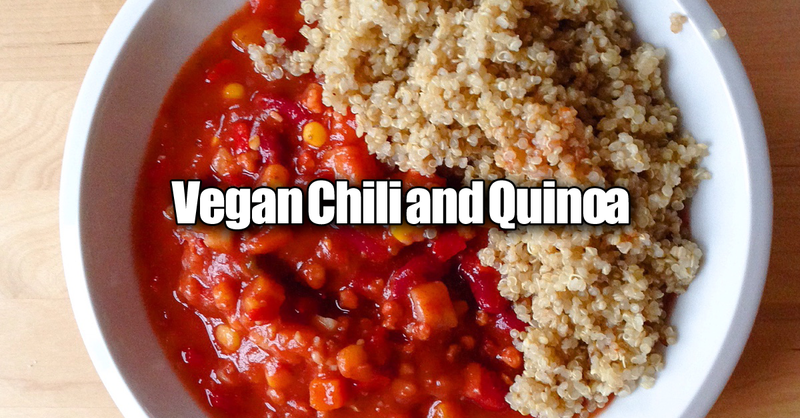 If you love quinoa and you love chili I promise you will love this Vegan Chili and Quinoa recipe. 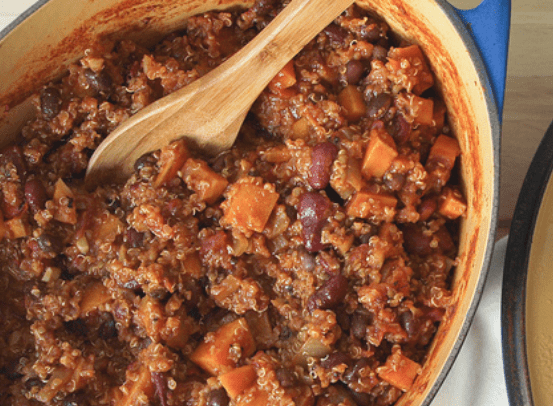 So hearty and filling and bursting with flavors. It’s really a meal in a bowl that you can feel good about. Quinoa is a healthy gluten-free grain. It has been eaten by various cultures throughout history but is becoming more and more popular in the U.S. now, especially in the vegan community. You may not know that Quinoa is a relative of Swiss Chard, spinach and beets. While most of us are familiar with the white variety of Quinoa, it also is found in red and black as well. Not only is it delicious it packs a nutritional punch. In just one cup of Quinoa you will find 8grams of protein, 5 grams of fiber, plus those heart healthy omega 3 fatty acids. It also has considerable amounts of iron, magnesium and folate. If you want to learn more about Quinoa and other great recipes, we have a list of 31 Quinoa recipes you can check out by clicking here. Now who is ready to get their hands on this amazing vegan recipe? You can get it on the next page below. I do a hot peppers and black beans for vegan burritos but use quinoa instead of rice. It’s a shut your mouth good! This is Awesome… Thanks for taking the time to post it! Awesome! If we stop consuming animal products, they will stop producing. Only collective awakening can create enough determination for action. That’s why my goal is to share the most irresistible vegan recipes that even meat eaters will find absolutely amazing. Let’s make vegan mainstream!